Scholarly Communications is an information landscape in transition. ACRL defines it as "the system through which research and other scholarly writings are created, evaluated for quality, disseminated to the scholarly community, and preserved for future use". The Dalhousie Libraries provide a wide range of services and tools to assist Dalhousie researchers, faculty and students to achieve their scholarly communication, dissemination and preservation needs. Choosing a journal to submit your research work to can be a challenge. There is a lot to consider: peer review, indexing, journal rankings and many more factors. Here are some criteria and tools to help make this decision. Your Subject Liaison Librarian can also offer advice. There have always been unscrupulous publishers who do not follow acceptable standards of scholarly publishing (e.g., little or no peer review and/or editorial services). With the explosion of online publishing and increasing use of the article processing charge (author pays) business model, predatory publishers are becoming more common and sophisticated. Look at our information page on how to avoid Predatory publishers. Use of copyright protected material is often a concern for many researchers and educators. The Dalhousie Copyright Office is always available to advise on the appropriate use and dissemination of copy-protected materials. For more information, please visit the Copyright Office website, or contact the experts at: copyright.office@dal.ca. When authors submit their work to a publisher, they are often asked to transfer copyright to that publisher. Transferring copyright can limit how a work can be disseminated or re-used. Before agreeing to a copyright transfer, investigate if you can negotiate your agreement and if necessary attach an author’s addendum, to ensure you retain certain rights such as self-archiving in an institutional repository like Dalspace. For further information, please see the Retaining your Copyright resource on the Copyright Office website. Open Access seeks to eliminate access barriers to scholarly publishing, and facilitate the dissemination of knowledge for application and use in the real world. Open availability of scholarly research can have a significant impact on education, health and innovation and can be of benefit to the public at large. 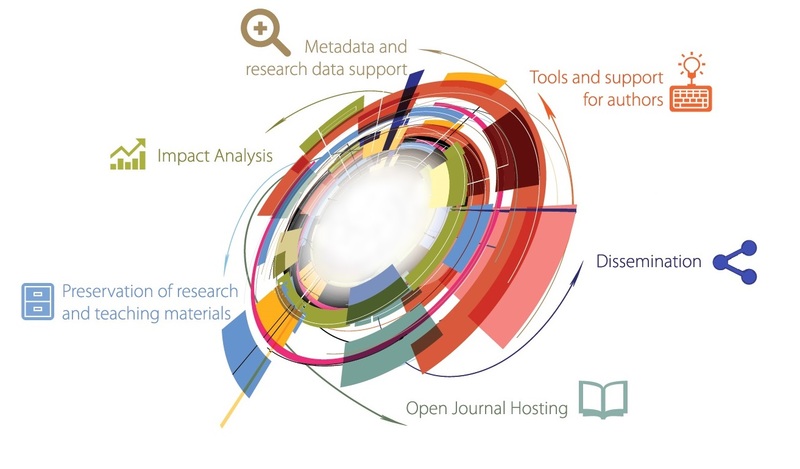 Open Access is an evolve environment, but generally OA involves making scholarly information available free of charge, immediately and in an on online format. Green Open Access is when an author deposits a version of their work in an open access repository, irrespective of where it is finally published. After publication, an author self-archives a version of the article for free public use in an institutional repository (DalSpace), or a central repository (e.g., PubMed Central), or on some other open access website. Many publishers now provide a variety of open access options, allowing authors to post versions of published articles online (often subject to certain conditions). Check these options at Sherpa-Romeo, an online service that collects and standardizes information about many journals’ and publishers’ open access and copyright policies. Gold Open Access is when an author submits their research to an Open Access Journal for publication and it is made immediately available from the publisher following review. There are over 10,000 Open Access, peer-reviewed journals listed in the Directory of Open Access Journals. Some OA journals will charge authors an Article Processing Fee/Charge (APC/APF) to cover the cost of publishing. Other OA journals are "hybrid"; authors have the option to pay for an individual article to be made open access. Other journals may “embargo” content so subscribers see it first, only being made OA some months later. Open Access Repositories collect, preserve, and provide free access to peer-reviewed articles and other types of research outputs. Open Access repositories may be discipline-based or institution-based. Over 2500 repositories are listed in the OpenDoar Repository directory. Open Access digital journal publishing provides institutional support for online journal hosting services and software and makes local journal publishing easy and accessible through Open Journal Systems (OJS). DalSpace provides preservation and access to the intellectual output of researchers and students of Dalhousie University. Dalhousie creators are encouraged to deposit copies of their work in the repository if allowed by the terms of their publication agreements, or permitted by copyright. If you need assistance in depositing your work, contact us at dalspace@dal.ca. Master’s and Doctoral candidates are required to deposit their theses and dissertations. Another key piece of Open Access is preserving research data. Recently, the Canadian Tri-Agencies (NSERC, SSHRC and CIHR) adopted the Tri-Agency Statement of Principles on Digital Data Management, which outlines the benefits of making research data as accessible as possible, which will maximize research benefits to Canadians and advance knowledge. Dalhousie has tools and services available to help researchers manage, share and preserve their data in an Open Data environment. Researchers, universities, funding agencies and governments are seeking ways to measure the output and impact of research they conduct and fund. However, determining the output or impact of research is not straightforward and there is considerable debate as to whether it is even possible to quantify the impact of research. Use our Research Impact LibGuide to help you find ways to measure output and impact for a specific journal article, a researcher or a journal. Also explore the developing worlds of Alternative Metrics or "Altmetrics".